The case of “Maria” is not unusual in considering the work of contemporary anthropologists and criminologists who study drug trafficking. Maria Full of Grace gained recognition because it placed women into an alleged masculine world. Maria is instrumental to transnational flows of products whether of legal carnations or illegal cocaine. The protagonist Maria was not the stereotypical feminine image of films in the drug genre. Women of this melodramatic imagination play sultry sirens to drug lords, junkies in search of fixes, or whores who turn tricks in the freak houses. Maria plays none of these roles. Instead, the screenplay heightens her physical and economic vulnerability and places it in a global context. Significantly too, the men who kidnap her aren’t necessarily to blame as much as the neo-liberal economic structures that force far too many men and women into illicit trade. Rarely have women appeared as instrumental to the economics of the narcotics trade as the character Maria. Circumstances force a sympathetic protagonist into the shadowy world of the transnational drug trade; a world composed of many men and women. Anthropologist Howard Campbell interviewed men and women on the US-Mexico border over years. 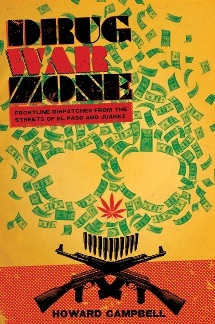 In Drug War Zone: Dispatches from the Streets of El Paso and Juárez, Campbell takes the stereotypical roles of women and men in the drug trade beyond that of feminine addict and masculine drug peddler. Rather, he found that men and women entered the drug trade for a host of personal, social, and economic reasons. In his ethnographic studies, Campbell argues that some women resort to working as mules to pay off the debts of their lovers, husbands, fathers, and sons. 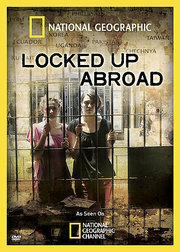 Some men and women, however, find empowerment in their roles in drug trade. By running drugs, women such as Cristal, who Campbell interviewed, found a socio-economic ladder to climb in the industry that was far more lucrative than a traditional job. Yet, she left her upper-middle class life to pursue one in drugs. José Carlos Cisneros Guzmán, a young scholar at the Autonomous University of Sinaloa interviewed many women who entered the drug trade as mules or peddlers then started to run their own crews. Some worked exclusively with women while others preferred partnerships with men. Like Cristal, their labor as mules serves as a stepping stone into the upper levels of the drug trade. Socio-economic mobility, though rare, does exist for mules. 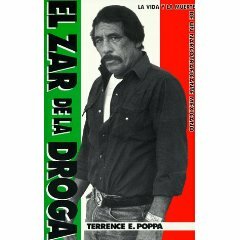 In Drug Lord, journalist Terrence Poppa introduces readers to the husband and wife team Sammy and Becky Garcia. Initially, Sammy works as a mule running drugs across the border for Pablo Acosta while Becky focuses on localized peddling but later expands beyond southern New Mexico to states such as Oklahoma. Like many women, she enters the trade through her husband who too worked for Acosta. Once Sammy is arrested, Becky proves to be an effective mule, and later an exceptional supplier. She improves her methods by experimenting with different modes of transport such as building containers within gas tanks to stump U.S. Custom’s agents. In my ongoing historical research on drug traffickers, men too dominate the lower echelons of the drug trade and enter it for the very same reasons as women though these are not the tales that sell newspapers or narco-dramas. The complicated and fascinating case of Joseph Martinez from the mid 1970s documents the twisted route men take to muling. Martinez lived a middle class life working as a technical writer in the 1960s and early 1970s. His hard-working immigrant ways allowed him to leave behind a working class Bronx life. A family tragedy that revolved around addiction led him back to his home of Puerto Rico. His plans for a continued successful career in technical writing or engineering did not work out in Puerto Rico due to the lack of opportunities in his professional field. Desperate to support himself and his family, he worked as a mule for a man he met at a guesthouse. Arrested in Puerto Rico, he grew concerned about the tougher sentencing in narcotics cases in the 1970s so he fled Puerto Rico for the United States to avoid prison. As a fugitive working and sleeping in the bars where he worked in the Bronx, he was again arrested during a DEA sting. Martinez, like countless men and women, entered the drug trade due to economic need. Like his contemporary peers featured in shows such as National Geographic Channel’s Locked Up Abroad, his move to Puerto Rico did not offer the same economic opportunities that he had in New York City. Like those unfortunate tourists and gullible young people in search of economic opportunity, adventure, or a holiday, a person who befriended Martinez convinced him that working as a mule would yield easy money with few risks. These contemporary studies, whether scholarly or popular, are further substantiated by the historical evidence of mules in countless court cases across the United States and Mexico. Men and women of all socio-economic levels transgressed borders and boundaries for the purpose of generating profit sometimes for themselves but also frequently for others who threatened their lives or lie about the risks. The personal narratives of muling loads of marijuana, cocaine, heroin, and methamphetamine are more complicated than the many stories that appear in policing narratives, melodramatic films, docudrama, and crime literature. Stereotypes do abound but so too do overlapping tales of personal struggles, economic displacement, networks of coercion, and direct and indirect violence whether in present day or in the past.